Scott Davis is a wildlife researcher, international photography expedition leader, and professional assignment photographer specializing in wildlife, travel, documentary and editorial imagery. 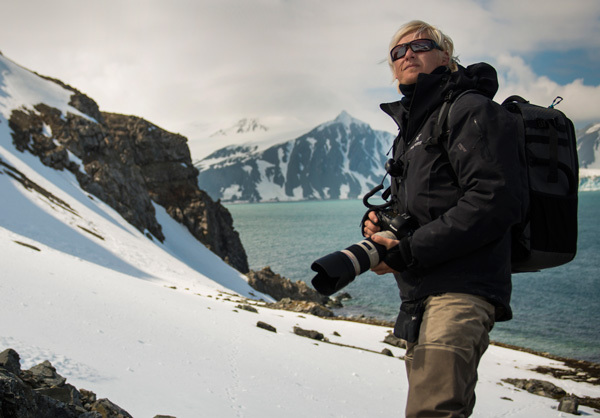 Originally trained as a wildlife and marine biologist, Scott's research, photo assignments and expeditions have repeatedly taken him to the far remote corners of the globe and all seven continents. Scott is a National Geographic Society Grant recipient and has co-authored and published several peer reviewed scientific articles investigating aspects of animal behavior. He has worked with and consulted for National Geographic, BBC, and Animal Planet Series. He has stringed for Reuters News Service in Africa. His photographic work has appeared in ad campaigns for Fortune 500 companies as well as commercial websites, prestigious stock agencies, Federal reports, national and international magazines and newspapers including the San Francisco Chronicle, The New York Times, Microsoft, Sport Diver, Conde Nast, AFAR, Focus, and Men's Journal. He has also worked as a commercial photographer for several national and international ad campaigns including Barclays Global Investments, The Cayman Islands Bureau of Tourism, Atlantis Resorts, Syngenta USA, Nationwide Children's Hospital, USA Aid, Rainforest Connection, California Bureau of Tourism and the World Wildlife Fund to name a few. As an assignment photographer, Scott is tireless when it comes to fulfilling the detailed needs of his clients, be it a commercial, commissioned, or editorial shoot. His desire and goal is the creation of powerful, moving, and often thought provoking images that have the ability to relay a story to a wide range of viewers, no matter what part of the world they may come from or what language they may speak. Be the project big or small, short or long term, Scott's wealth of experience in multiple disciplines of photography, from documentary, portraiture, lifestyle to remote world culture and beyond, coupled with his can-do positive attitude will ensure the client's needs are met. As a guide and photography workshop leader, Scott's easy going style coupled with a passion for all things photography is contagious. He finds great satisfaction sharing his unique insight, experience and knowledge with others, be they aspiring or already established photographers. When not hopping a plane, train or automobile in search of his next subject, Scott currently makes his residence in Monterey, California. © 2019 Scott Davis Images All rights reserved.